Well, it's been a while since I've written a blog post. No real excuse, not that most of you would be looking for one. I just haven't felt like posting anything. I've had plenty of ideas but just none that I've followed through on. I've also been working on a new project. Myself and some talented women led by fellow Irish blogger Colette (Wide-Eyed and Blind) have started a website, Bean Magazine. I'm the Beauty/Film and Tv Editor so I've been working on articles for the website over the past while which has taken up the time I would have spent blogging. However now that we've launched and I've gotten used to writing different kinds of articles I feel like I can differentiate between what I write for the blog and what I write for Bean. It's been so much fun and so inspiring working with a group of like-minded women who all have different interests, passions and areas of expertise. I hope you have time to check out the website (which is a work in progress), we'd love any feedback you have to give and we're also always looking for contributors so if you or anyone you know is looking for a creative outlet or has anything they'd like to write about that doesn't fit anywhere else please don't hesitate to get in contact with us. You can also keep up with us on Instagram. Now, let's get into the review. This is a product that has been in the making for the past few years. It's something every Glossier fan was waiting for so it already had high expectations to live up to- Lash Slick mascara. It's the product that was missing from my full face of Glossier post last year and now the wait is over and I've been using it for the past few weeks after kindly being sent one by the lovely ladies at Glossier (who I was lucky enough to meet recently). I knew that any mascara launch from Glossier wasn't going to be like other brands. It would be something that enhanced your natural lashes. Nothing clumpy, no big brushes, nothing too volumising- and I was right. Emily Weiss wanted it be like lash extensions without the extensions. It took them 248 formulations to make "the perfect everyday mascara". 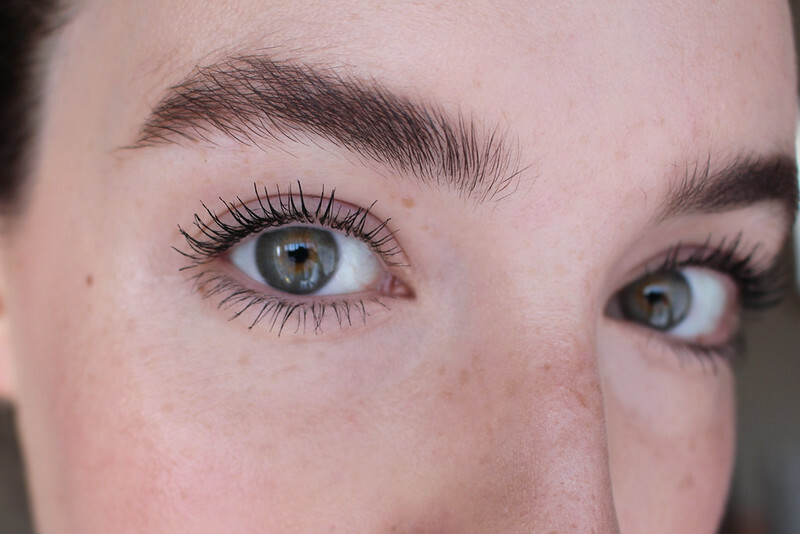 But is it the perfect everyday mascara? 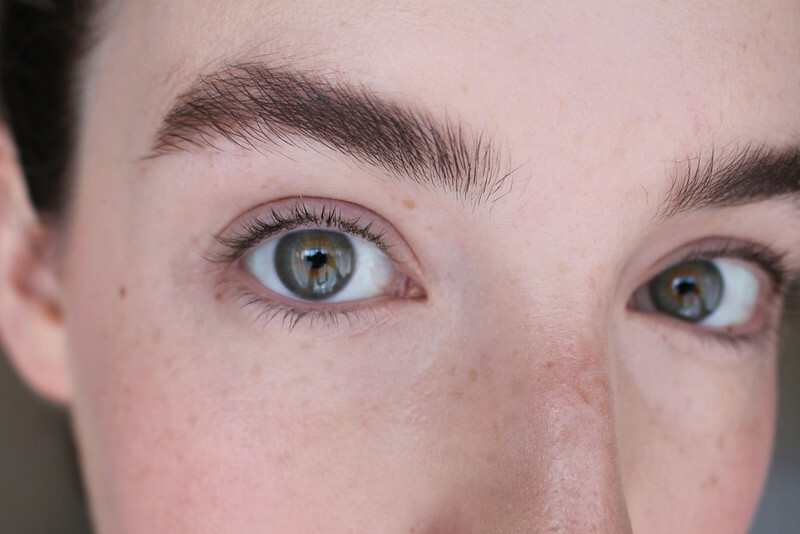 Let's begin with what Glossier claims the mascara will do. Curl, sculpt, lengthen and enhance your natural lashes without clumps. It contains tiny one and two millimetre curved fibers that create that extended look and film-forming polymers that lock the fibers in place. It also contains vegan biotin (a vitamin that helps to keep skin and hair healthy among other things) that conditions and strengthens the lashes over time. The natural shine polymers make the lashes shiny and sleek. It's suitable for anyone with sensitive eyes or those who wear contact lenses. It's water resistant but not waterproof so it can be removed with warm water (or Milky Jelly Cleanser). 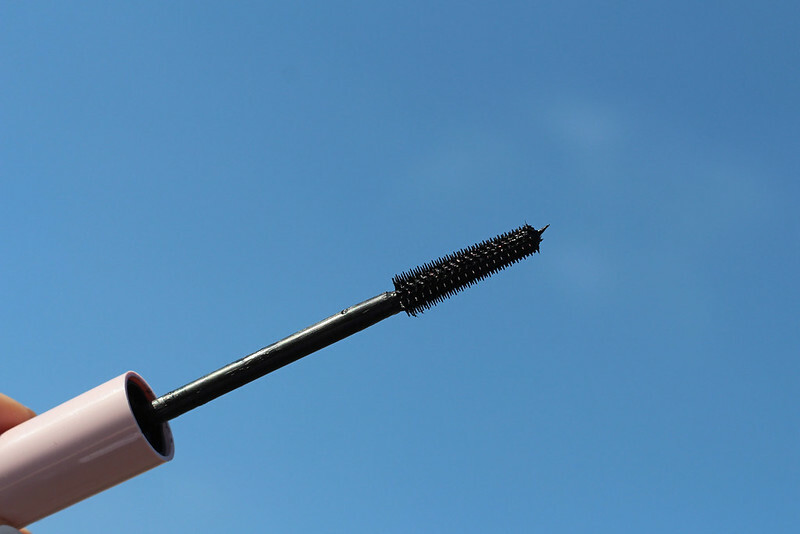 The tapered wand has tiered bristles that separate the lashes and give an even application. Did Lash Slick live up to my expectations? I'm happy to say it's a resounding yes! The first time I tried it, I loved it. That doesn't happen with all mascaras and obviously there are many more aspects to a great mascara than just first application and appearance. Wear time, smudging and flaking and removal all heavily factor into my opinion. I've used mascaras that have applied beautifully and looked incredible (MAC Upward Lash) but have flaked so much that it wasn't worth the hassle for me despite how amazing my lashes looked. Lash Slick gave my lashes length and definition and a small amount of volume, enough for me personally for an everyday mascara. The tapered brush meant that every tiny lash was coated and there was zero clumping even with a second coat. My lashes were fanned out and it held the curl from my eyelash curler which I use every day regardless of what mascara I follow up with. There was no flaking or smudging on me despite using it on my bottom lashes too. I have seen the odd rogue fiber but not enough to bother me at all. It wears perfectly throughout the day and I've tried removing it with a cleansing balm, warm water and MJC and I've never had a problem with any removal method. As you can see it comes in the signature Glossier Pink packaging, I've only been using it for a few weeks so I don't know how long it will last before drying out but I always throw away my mascaras after three months anyway for hygiene reasons. One of the things I love most about it is the brush, the size and shape means I don't get any mascara on my eyelid which seems to happen to be all the time even when I'm being careful. At the moment it only comes in black but I could imagine there would be a demand for a brown shade too. Being completely honest, this mascara will not be for everyone. 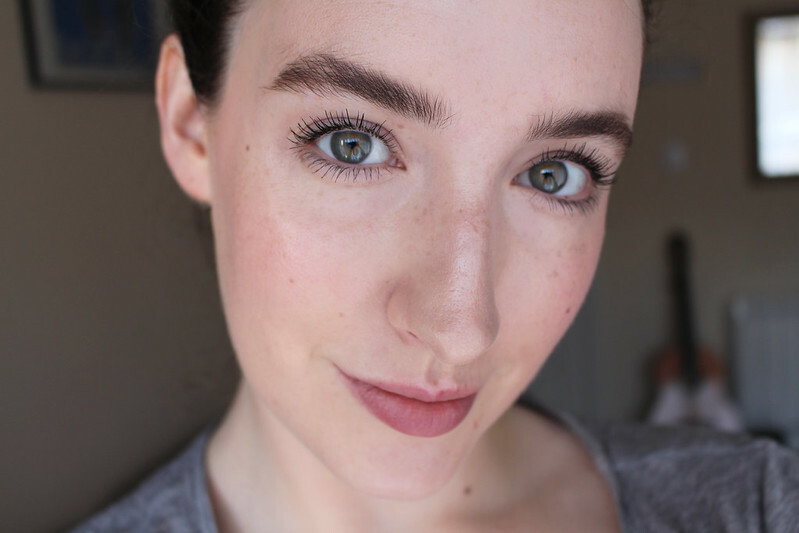 Most people are looking volume, length and definition when it comes to mascara and although I can't fault it for length and definition, it doesn't give as much volume as other mascaras I've tried. But that is exactly how it was intended, as a mascara that gives you 'your lashes but better'. It doesn't look like I'm wearing mascara, just that I have great eyelashes which I can't say I've gotten from any other mascara. But like I said, most people like to look like they're wearing makeup and have thick lashes. There is absolutely nothing wrong with that. If I was going on a night out or wearing darker eyeshadow I would definitely wear a different mascara that's more volumising. 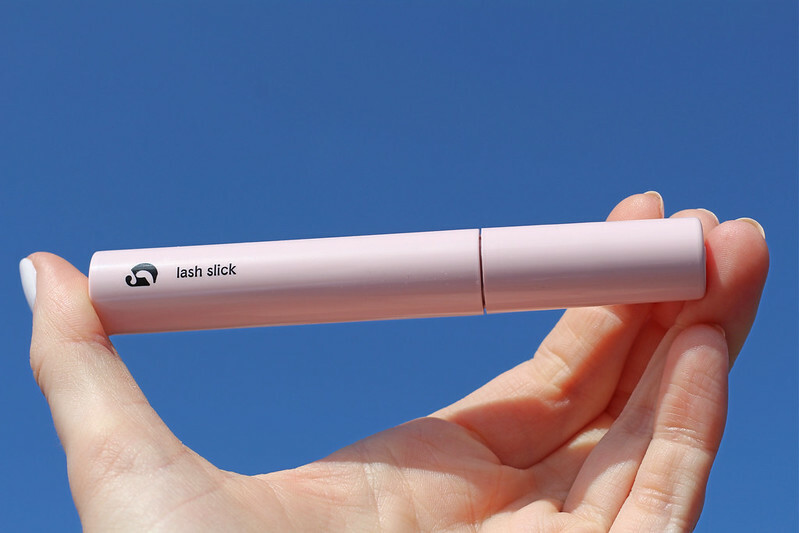 But for everyday, to fit in with the kind of makeup I like to wear, Lash Slick is absolutely perfect for me. As you can in the photo above, my lashes aren't naturally that long, but most mascaras tend to make them look good. That doesn't necessarily mean I like most mascaras, it's probably one of the makeup products I'm the most picky about, especially considering you can get such great inexpensive mascaras nowadays. It takes a lot for me to buy a mascara twice because I do like to try different ones each time. This is one I will 100% be repurchasing. And just in case you hadn't heard yet, Glossier now deliver to Ireland which makes me so happy! Lash Slick is priced at €16 which I think is a great price point considering some "drugstore" mascaras are the same price and even more expensive. I'm delighted that the long-awaited Glossier mascara hasn't disappointed me. What do you think? Does this kind of mascara interest you or do you prefer thicker lashes?